High-technology equipment. Evidence-based practice. Innovative resources. These are what nursing and healthcare are at present. Indeed, nursing has come a long way. From just basing on instincts and superstitious beliefs when providing care, nursing practice has evolved almost beyond recognition. Let’s look back on nursing’s early years and see just how far it has progressed. Nursing started with very little to do with formal medical training and everything to do with your gender and willingness to do the job. 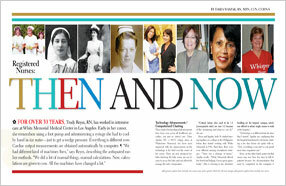 In the early days of nursing, women learned medical skills from their mothers or other women in the same profession. Basically, nursing was like an extension to their role in their household. Early on, training wasn’t even necessary and organized training wasn’t offered to caretakers. The health care setting used to be in the home or on the battlefield for many women in the nursing field. There was a clear preference and need for health care to be practiced at home whenever possible. Home visits were more common than visits to the hospital, which were mainly reserved for those that were extremely ill, badly injured, or near death. Nurses lived and died by the Kardex, a folded card-stock roadmap to all things for the patient, completed in pencil and continuously crossed out or erased and updated. Electrophysiology studies were done at the bedside to discover and treat arrhythmias. GI bleeds were managed by inserting tubes with balloons (attached to football helmets) to tamponade varices. Warm-water-heated metal bedpans were used for patient comfort. Central venous pressure was measured with water manometers. Nurses used the second hand of a wristwatch to calculate I.V. drip rates. White oxford lace-up shoes were the norm for nurses. Only operating-room (OR) staff and physicians wore scrubs. Vital signs recording required a three-colored pen to reflect the three different shifts. Nurses mixed antibiotics without pharmacist assistance. Nurses became proficient in I.V. sticks by practicing on one another. Requisitions were completed on typewriters. Public health meant well-baby check-ups at the new mother’s home. Patients heading for the OR had their body hair shaved with hand razors. Most surgery patients were admitted to the hospital the night before. Nursing caps were still popular. Nurses wore stark-white dress uniform with the cap. The Physician’s Desk Reference and the U.S. Pharmacopeia, chained to the desk, were the common drug references. Nurses carried trays with cups of pills and med cards. Cancer was a death sentence. Staff and patients smoked in the hospital. Nurses often worked 12-hour days, going to classes during the day and at night. There are extensive training programs, more diversified staff, and a level of prestige associated with this area of the medical field that wasn’t there before. Nursing care is highly specialized, and hospital patients are grouped geographically in units by disease or body system. Today, the qualifications for nurses are very specific and in depth. 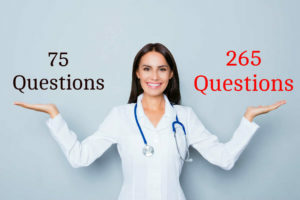 There are a wide variety of nursing programs, specialties, degrees, and certifications for different types of nursing, but all of them require the student to pass different certifications in order to provide health care to patients. Now the medical settings for nurses are hospitals, physicians’ offices, home health care services, or assisted living facilities. Nurses are now medical professionals that are needed in schools, correctional facilities, or the military. Computed tomography and magnetic resonance imaging scans are the first order of business before a definitive diagnosis is made. The average length of stay in acute-care hospitals is 4 days (down from 11.4 days in 1975). Heart revascularization procedures are done on an outpatient basis in the catheterization lab in one day. Scopes and lasers are used to treat numerous bleeding conditions. I.V. infusions are regulated with sophisticated pumps run by safety software. Plastic shoes, clogs, and sneakers are common footwear for nurses. Pharmacists and pharmacy technicians prepare, compound, and deliver drugs and infusions following rigorous safety checks, sometimes involving preparation in special hoods. Automated beds are used to weigh and reposition patients. Ceiling-mounted lifts transport patients from bed to commode. Nursing caps occupy space in museums. Nurses are wearing scrub tops and pants that allow for movement and suit both men and women. More than two-thirds of patients exceed the 5-year survival rates for most cancers. Online references for pharmaceuticals, nursing procedures, and evidence-based practice provide instant information at the point of care. Home-care nurses provide acute- and critical-care interventions, and teach family members how to perform these techniques. National patient safety goals mandate practices to minimize the risk of errors. Multidrug resistant organisms create daily challenges for patients, families, staff, and caregivers. Elderly patients undergo invasive procedures at the request of family, even when healthcare professionals know such care is futile. Low-birth-weight babies have a survival rate of 90% (up from less than 50% in 1960). Nurses provide a growing percentage of primary-care and chronic-care patient management. Nurses are leaders in every aspect of healthcare delivery, education, research, and policy formation. 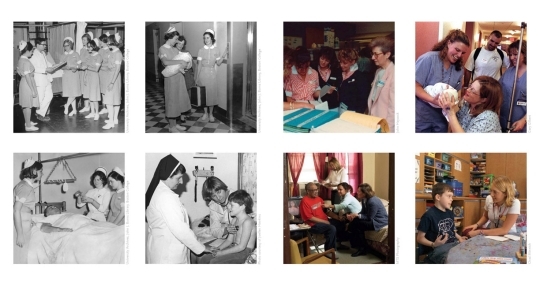 This entry was posted in Nursing News, Nursing Stories and tagged nursing history, nursing then and now, nursing through the years. Bookmark the permalink. I graduated from a 3 year diploma school in 1965. I worked in a hospital for 46 years. I worry that with all of our advances we have forgotten how to work together for the good of our patients. It doesnt matter how many degrees you have if your knowledge isnt shared. We need to remember why we have RN after our name.